Workforce Development: Limited Spots Remaining, Register Today! Registration is now open for the NFWL 2018 Annual Conference in Washington, D.C. from November 13-17. The early bird rate of $80 for elected women ends July 31 at 11:59pm. Don’t forget to register before prices increase. And don’t forget, NFWL offers travel scholarships to cover the cost of attendance for elected women. REGISTER: Workforce Development Summit – Limited Spots Remaining! Don’t Miss Out! Are you interested in workforce development? NFWL is bringing elected women from across the country to Alexandria, VA for a Workforce Development Summit on August 20-21. The Summit will feature round table discussions and networking opportunities. Only a few spots remain, so register to attend today! It’s not too late to indicate that you are interested in serving in a leadership position with NFWL! Click here to view the leadership roles. The deadline to complete the form if you are interested in serving on the 2018 Board of Directors is September 1, 2018. NOMINATE a Colleague for a Civvy Award in Bipartisanship! In its second year, the American Civic Collaboration Awards will continue to highlight outstanding efforts of civic collaboration making impacts in local, national and youth communities. Awardees and finalists will be celebrated at the National Conference on Citizenship in October 2018. 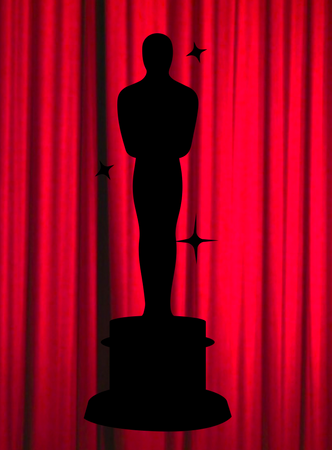 Nominations are open June 11 – July 13, 2018. Follow these links to learn more about the Civvys and nominate someone the award. 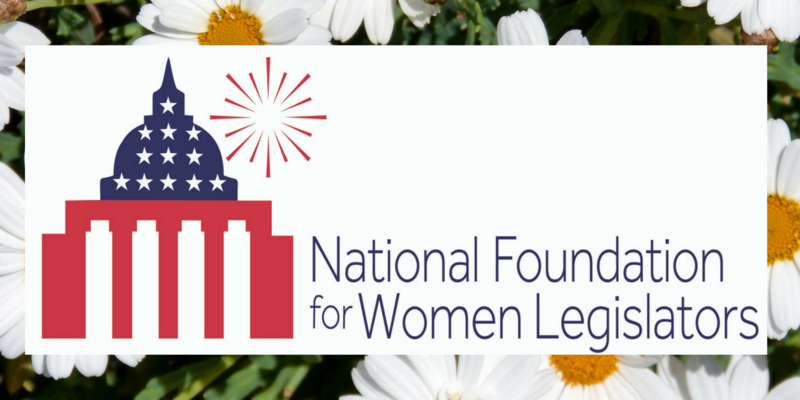 NOMINATE a young woman for NFWL’s Annual Constitution Essay Scholarship Contest! 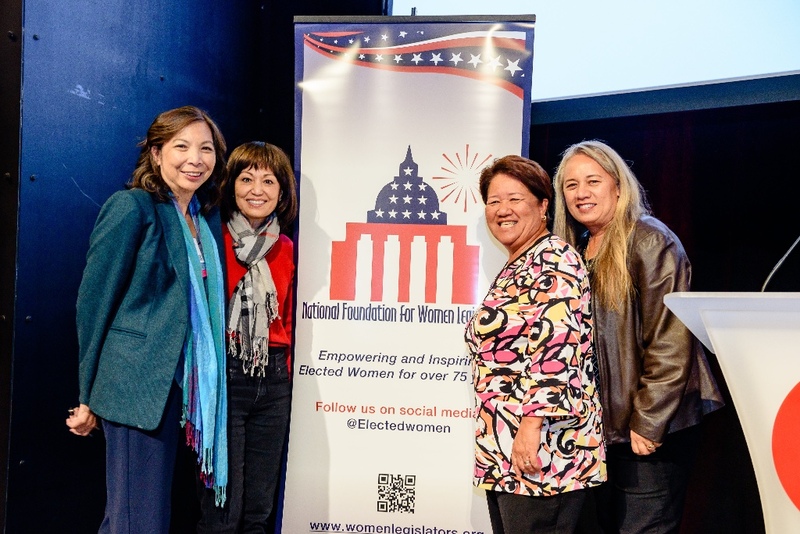 For more than 20 years, the NFWL has celebrated young women by hosting the Annual Constitution Essay Scholarship Contest. 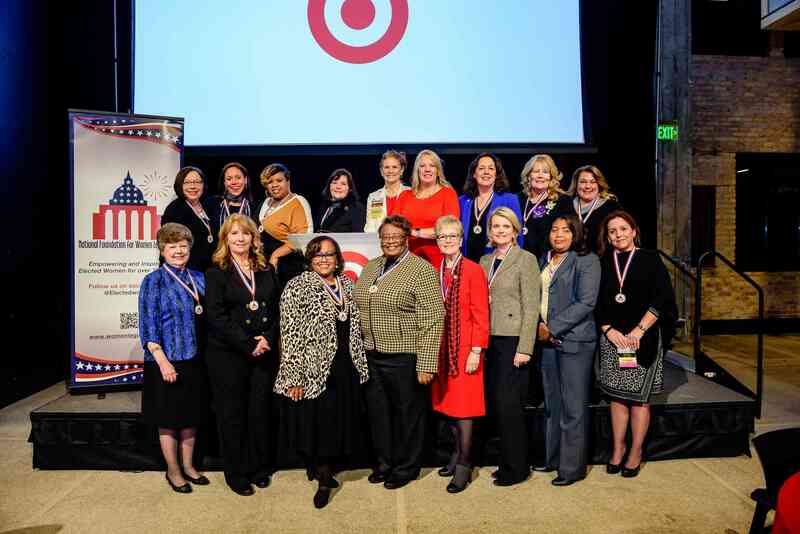 This scholoarship provides six students a $3,000 college scholarship and an all-expense paid trip to NFWL’s 2018 Annual Conference in Washington, DC, November 13-17. These young women learn about a diverse array of policy areas from the elected women mentors, while also learning about what it is like to be an elected woman. The scholarship is made possible by the NRA Foundation. The deadline to nominate students is Friday, July 20 at 5:00pm ET. Check out what NFWL has been doing this summer. We were thrilled to host a Dome Tour at the Delaware State Capitol on June 13th. 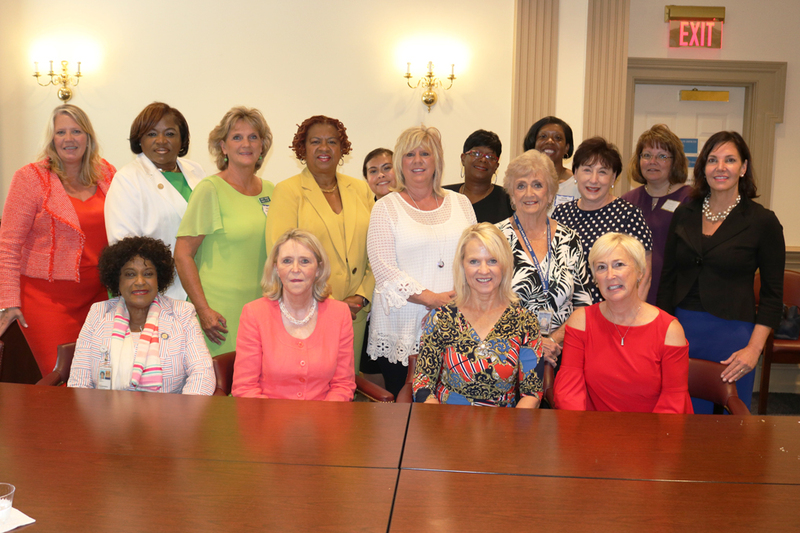 Along with our two wonderful Delaware state directors Representative Ruth Briggs-King and Representative Stephanie Bolden, we were joined by the Lieutenant Governor of Delaware, Bethany Hall-Long and NFWL’s own Jody Thomas, and eleven more elected women. Dome Tours are a great way to network and learn what NFWL has to offer to elected women! On June 10th, National Children’s Day, NFWL members focused on raising awareness of human trafficking, an industry where the average age of the victim is between 12 and 14 years old. Our elected women are dedicated to making this country a better place for the next generation, and many of them used their platform to spread the word about human trafficking through our #CherishOurChildren Challenge. 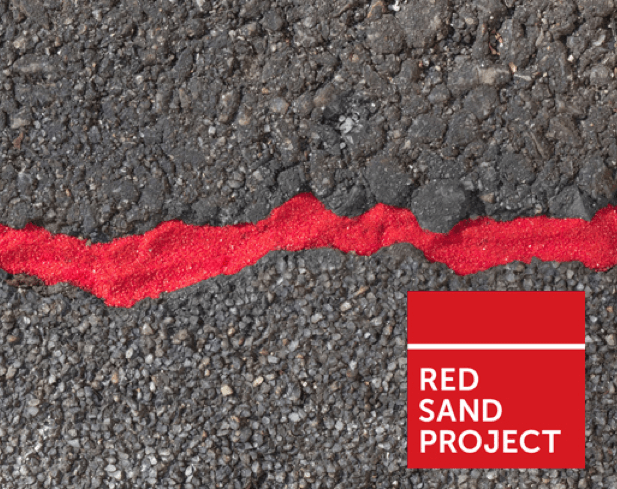 The result was that elected women from more than fifteen states committed to raise awareness about this heinous crime, either through social media campaigns or by hosting a Red Sand Project. At the end of June, Allison Jensen said farewell to the National Foundation for Women Legislators. After working at NFWL for almost four years, we are extremely grateful for the tireless work Allison has put into this organization. Her energy, determination, and passion will be greatly missed at NFWL as she starts a new chapter in her life. 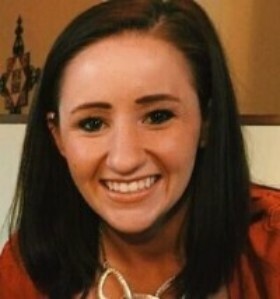 At the beginning of July, Allison started working at CityLab as the as the Events Manager. We wish her enormous success in her new endeavors! 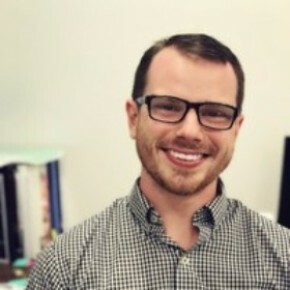 Tripp is a recent addition to the NFWL team as Membership Outreach & Operations Associate. His focus is to foster relationships with NFWL members, ensure that the membership experience is top-notch, and create engaging and relevant content for NFWL events and publications. Tripp is eager and excited to lead the membership outreach strategy and contribute to the enhancement of the member experience. He is passionate about member engagement through events and special programs and the mission and values of the NFWL.